My guest on the podcast is Mitch Sturgeon. 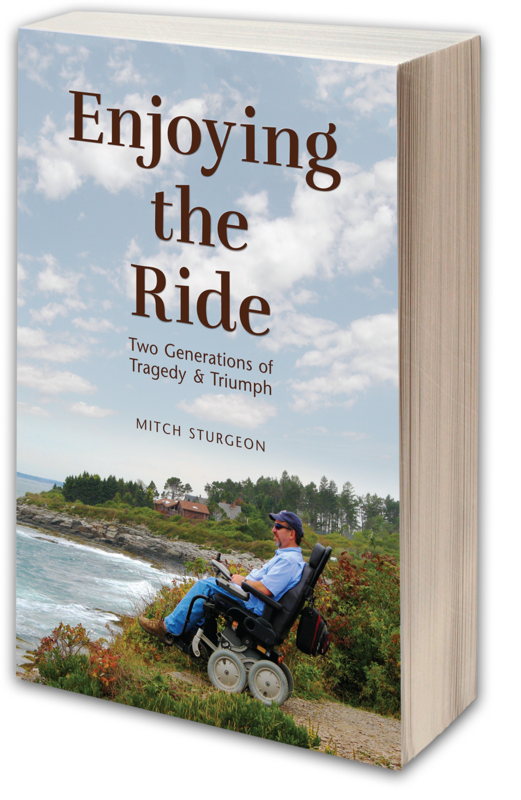 Mitch is an award-winning blogger, and with the publication of his book, Enjoying the Ride: Two Generations of Tragedy and Triumph, Mitch is a published author, as well. In 2001, Mitch was diagnosed with Primary Progressive MS. He was 35 years old at the time, and that was the same age that Mitch's mother was when she took a fall that left her a quadriplegic. Mitch's book is more than just a reflection of his MS journey. It's a story about a family with all of the quirks, idiosyncrasies, strengths, and faults that any family might have…and how they lived through and even prospered, in the face of tragic circumstances. We're also talking about what it means to transition from caregiver to advocate. We'll talk about the concept of cognitive reserve and its relationship to MS disability and depression. And we'll share the latest statistical evidence that makes the case for identifying a reliable biomarker for MS disease progression.